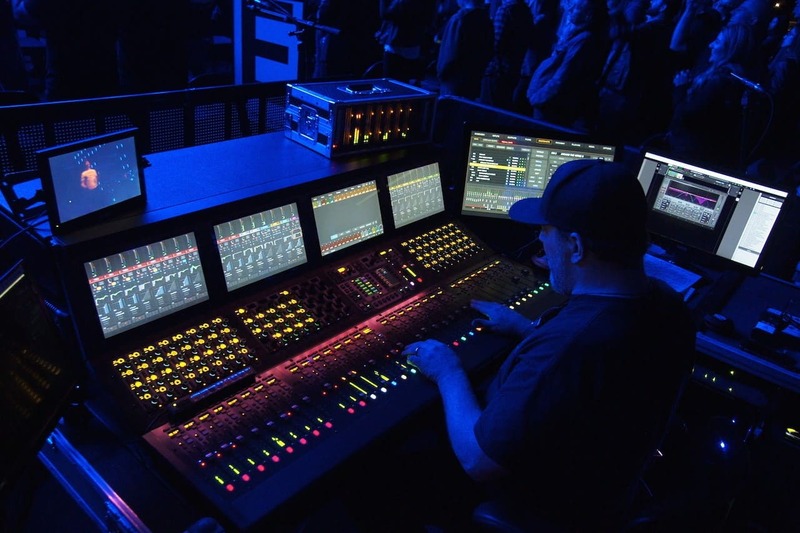 Justin Timberlake, Norah Jones, Beck, Rihanna, Beastie Boys and Sheryl Crow are just some of the top acts FOH engineer Sean ‘Sully’ Sullivan has mixed live over the years. We asked Sully to share with us his goals, gear and workflow touring with Red Hot Chili Peppers for the better part of 2017. Sully, to what degree do you strive to recreate Red Hot Chili Peppers’ original recorded sound when you mix them in concert? I don’t feel pressure to convey what the albums sound like; I just use that as a reference to base my live mixes on. Bands rarely play exactly like the records, or rarely use the exact instruments or amps that were used on their records, and that’s true about the RHCP too. But I do reference the records for overall vibe and use of effects. If the record is dry, then the live show is dry. If there are specific delays on certain words, then yes – I will mock that stuff to a tee. Mixing live with plugins enables me to do that. What’s your setup for this tour? An Avid 32D S6L console with a MADI-192 card and no outboard gear; L’Acoustics K1/K2 PA with KS28 subs; Dolby Lake DLP for AES and analog back of PA drive. In addition, I have the Waves MultiRack SoundGrid plugin host running on a Mac Mini, plus two Waves Extreme SoundGrid servers (one for backup). What is your basic workflow prior to each show? I record everything and work at my own pace when no one is around via virtual soundcheck. I use the recording of the last show we did to listen to through the PA. I typically put a section of a song in loop playback, and once I’m happy with how it sounds at the FOH position I will go listen to it from several spots in the venue, tweaking until I’m satisfied. 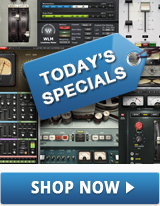 Which plugins are your go-to’s? For vocals on Anthony Kiedis, it’s first and foremost the C6 Multiband Compressor, which is great for dealing with tonality changes resulting from how Anthony – or any singer for that matter – is using their mic. Then the Waves Doubler with a preset of 2/4, used on an aux bus for vocal doubling. 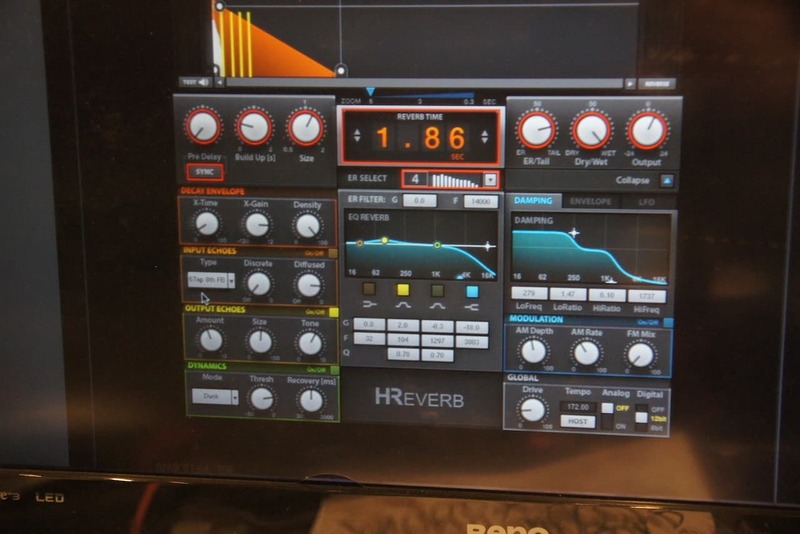 For delay and reverb, my must-have effects are the H-Series plugins: H-Delay, which I use on an aux bus for doubling and throw type delays, and H-Reverb, which I use on an aux bus for vocal effects as well as drum effects. I always insert the Primary Source Expander plugin on vocals to control the bleed from the PA and other instruments. It also works as a great vocal expander and keeps the mics clean without the hard opening and closing of gates. The PS22 Stereo Maker plugin is also indispensable to me. I use it with Red Hot Chili Peppers and with every single artist I tour with. It makes guitars sound real! I insert it on my guitar group to make guitars sound spread out and natural without adding delay or ambience. The PS22 also creates a nice bit of space, in that it makes room for the vocal to sit in the middle. Finally, for processing Flea’s bass guitar, an important plugin for me is Bass Rider, which frees me from having to constantly balance the bass. At the same time, it’s also doing the work of a compressor, but without the unwanted artifacts you sometimes get using ordinary compression. Red Hot Chili Peppers songs feature a lot of rapping by Anthony Kiedis and what you might describe as half-spoken, half-sung vocals. How do you go about getting those types of vocal deliveries clear and audible? First off, I always pick suitable microphones that I know will work well in these situations and that makes the job a lot easier. Then, I rely on the C6 Compressor. It’s great for controlling the tonality variables that occur when the singer either cups the mic or sings five inches off the capsule. Is there a crucial difference in your approach between doing live sound for an artist like Norah Jones and a more aggressive-sounding band like Red Hot Chili Peppers? Not really! The only major difference is that I use different types of microphones for very different types of singing. But basically, I use the same types of processing – the same approach to multiband compression on the vocals with the C6, the same go-to delays and reverbs I described with H-Delay and H-Reverb, though of course the precise settings will differ. Finally, what would you say is your number one goal when mixing a live show? Reinforcing what the artist is doing onstage so that every seat in the venue can hear it properly, with clarity and impact. Once that is achieved, I add the icing on top with the detailed effects that sweeten it all up! 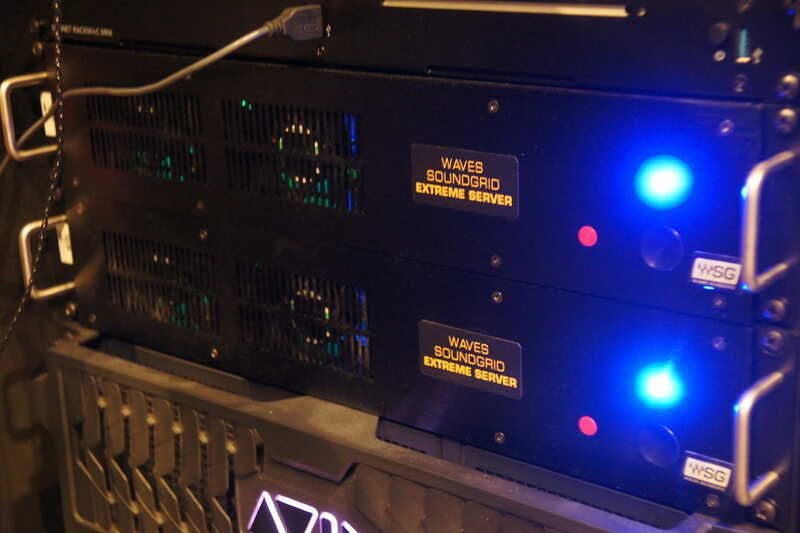 Learn more about the mixing possibilities opened up by WavesLive solutions for live sound.